It is with profound grief and a heavy heart that I share this communication with my students, colleagues, and alumni of The Cooper Union. 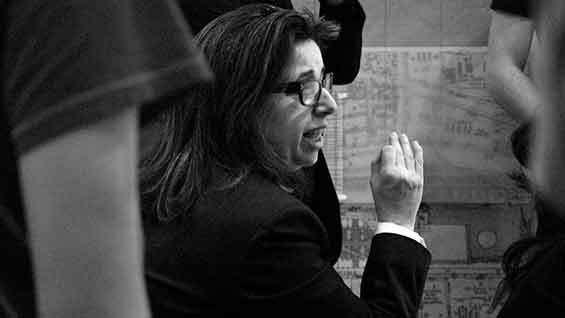 Today, we lost one of the most beloved and influential voices of our community, architect and Professor Diane H. Lewis. Diane Lewis came to The Cooper Union as a student in the Art School in 1968, transferring to Architecture in 1970, and completing her studies in 1976. Immediately upon graduation, she was awarded the Rome Prize in Architecture, making her one of the youngest members to be honored by the American Academy in Rome. Upon her return to the United States, Lewis joined the offices of Richard Meier and Partners and later, I. M. Pei and Partners where she received her early training – this, while also launching her teaching career. Initially a professor at the University of Virginia, Lewis went on to teach as a visitor in many respected programs including Yale University, the Technical University of Berlin, the Harvard Graduate School of Design, and the University of Toronto, where she held the Frank Gehry Visiting Chair in 2006. 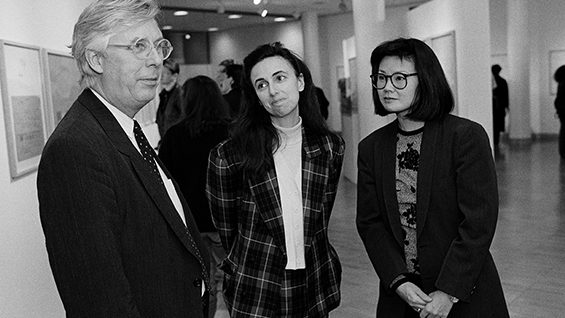 But it was here at The Irwin S. Chanin School of Architecture that she planted her foundations as a radical and committed educator; Lewis was the first woman architect to be appointed to the full-time faculty, and later tenured in 1993. In an age when few dedicate themselves to teaching as a craft, her focus on creating a transformative space of learning will be a central part of her lasting legacy. Indeed, as much as Lewis was a product of Cooper Union, today we can look back at more than thirty years of her contributions and come to realize that we are, in fact, defined by the culture of her teaching. As a practicing architect, Lewis set up her own office in 1983 under the banner of Diane Lewis Architects PC, and she has since led a focused and critical practice concentrating on competitions, urbanism, and built projects known for their exquisite refinement in both plan and detailing. Of those projects, the Studiolo for Colomina and Wigley, the Mews project for Professor Dworkin, and the Kent Gallery all demonstrate the nuance and skill that Lewis brought to her sense of materiality, figuration, and occasion. With a protean intellectual profile, Lewis’s work spoke to the panoramic range she held within her scope; a writer, designer, film-maker and urbanist, Lewis brought passion to her many activities, often synthesizing her investigations into the many publications she edited and authored. Her most recent book, including the work of several generations of students, Open City: Existential Urbanity is one such example, featuring not only her written work, but also her research on Neo-realist cinema, the role of the civic institution on the making of urbanity, and even book design as a central part of its argument. The practice of Diane Lewis served as a conduit for her inter-disciplinary interests, and she seamlessly navigated between professional practice, scholarly work, and her teaching projects as part of a larger commitment to the discipline. Naturally, as co-editor of the Education of an Architect, Lewis shared a vision about how the commitment to teaching was also part of a social contract to give back to society in productive ways. Exhibited widely, including at the Cooper Hewitt Museum, the Van Alen Institute, and the Galerie Aedes in Berlin, Lewis also gained many accolades such as the John Q. Hejduk Award and nominations for the National Design Award from the Cooper Hewitt and the Daimler Chrysler Award. Diane Lewis was widely recognized as a consummate architect and professor. Loved by students, respected by professional colleagues and debated by academic peers, Lewis defined architecture with equal parts passion and erudition. In recent years, her Design IV urbanism studio was known for its often twelve-hour long final reviews – each one of them a marathon discussion of critical precision and clarified architectural thought. On a more intimate note, I can only say that I will personally miss Diane dearly, most especially the tenacity with which she engaged in fierce architectural debate. Diane’s persevering intellect and commitment to leadership was so ever-present in the School, I can only imagine that both John Hejduk and Anthony Vidler felt her almighty strength in the administration of the school. She led the school symbolically, and when things did not go her way, she led a parallel school of thought alongside the very deans that gave rise to her platform. Her agency represents the very ethos of the key protagonists that a school would want inside its walls. She had a voice, she used it, and she led with it. In the past days and weeks, I have been touched by the many students, alumni, and academic associates who have reached out to me inquiring about her well-being. Diane was loved by many and respected by all. She was fiercely loyal to her students, and she made no secret of her advocacy of the many friends she held dear in both personal and intellectual complicity. To that end, I can only see that this loss is shared far and wide by many. As the Dean of The Irwin S. Chanin School of Architecture, I have the honor of bringing words to the collective sentiments that I believe everyone has voiced to me, and yet, I know that these words do not suffice in face of a deep, collective grief. The presence of our beloved family and friends is real and profound, but in their absence, we also discover that their every lesson, their words of wisdom, humor, and sensibility is something that takes on even more vivid presence precisely because they are no longer here in body. 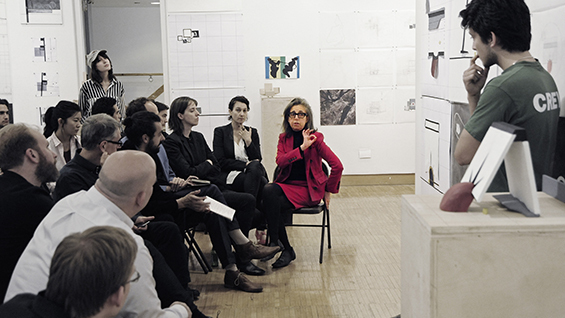 Diane may have left us in person, but her presence will be very much part of the education of many architects to come, and she will continue to speak with strength and clarity in the halls of this institution. As we miss her deeply, we will also have the benefit of her ongoing guidance, the fulfillment of over thirty years of generous giving. A mid-June memorial is being planned to celebrate Diane’s life in Architecture, Art, and Literature. Additional details will be released at www.dianelewisarchitect.com as plans are finalized.